Huge discounts on service washes! At LR we love saving you time, and with up to 40% off service washes until the end of February 2014 there’s no excuse not to try out our brilliant wash + dry + fold laundry service and start getting your free time back today. 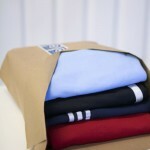 Your clothes will come back in a neatly wrapped parcel, lovely and fresh. 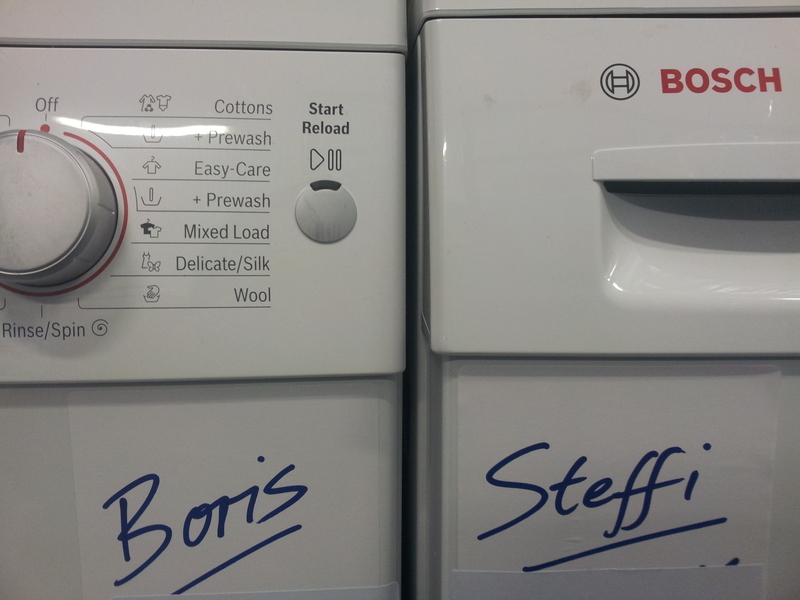 It’s a like a laundry birthday present! Use the voucher code SWASH40 when placing your order at LaundryRepublic.com to reduce the price of a standard load (up to 6kg) to £9.99 and the price of a large load (6-12 kg) to £19.99. That’s a reduction of £7.00 and £10.00 respectively! The offer is valid until February 28th 2014, and as with all service washes you should only include items suitable for normal washing and drying (excludes bulky bedding such as pillows and duvets). If you have any questions, give our friendly team a call! Over time, pillows collect large amounts of bed bugs, dust mites and dead skin cells, which can cause allergic reactions, respiratory problems and a number of other unpleasant ailments. And in the current heat wave it’s more important than ever to get your pillows cleaned regularly. To help keep them clean and fluffy, LR is offering 25% off our pillow cleaning prices from now until the end of August. 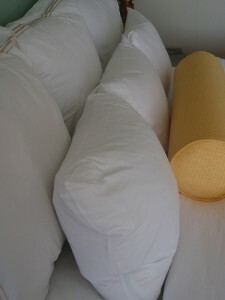 Simply use the voucher code PILLOW250813 when you place your order at LaundryRepublic.com. With the discount, cleaning a polyester pillow drops to just £5.99 and a feather pillow to £7.49 – fantastic value! At LR we know how much fun a week in the mountains can be – beautiful views, great snow, and of course the all-important apres-ski. And we know how important it is to look your best while you’re on the slopes, which is why you need to know how to care for your ski gear. Ski clothing requires extra care because of the specialised materials used in its construction. Not washing it correctly can result in damage and the loss of the waterproof qualities which are so essential. Always check the care label carefully before cleaning. If the items are washable, use a cold, delicate cycle with a non-detergent cleaner. Then run another cold cycle, adding a wash-in water repellent to restore the waterproof membrane. Do not use bleach or fabric softener. Rinse twice and tumble dry on a low cycle. Once dry, apply some more waterproofing spray and hang them ready for the next season! If this all sounds a bit involved, let our expert team take care of it for you. We’re offering 20% off on ski jackets, ski trousers and salopettes until March 15th 2013. Simply enter the code SKI20 in the voucher code box when you place an order at LaundryRepublic.com. We’ve been working very hard during the last few months and we’re starting to see the fruits of our efforts. We’ve started serving nearly 1,500 more apartments – developments in Clapham, Battersea, Highbury, Farringdon, Stratford, Canary Wharf and Woolwich are now part of our laundry revolution! And since July, we’ve added five new LR team members, who have been helping us to raise standards even higher. We’ve stepped up our social media presence and now have Facebook, Twitter, Pinterest and LinkedIn profiles! It’s a great way to keep our customers up to date with our news, the latest promotions and discount codes, stain removal tips and the occasional funny stories from the world of dry cleaning and laundry. Talking about promotions: LR is now serving gyms, allowing our customers to combine their trip to the fitness club with a visit to the dry cleaners. If you would like us to start serving your gym, get in touch! We’ll even give you the equivalent of a month’s gym membership in credit as a thank you when we start serving it. Also this week, we’ve launched a new discount voucher – 10% off your second order when you use the voucher code at the bottom of your receipt. This allows recent joiners to continue to try the LR experience for less! Check your receipt for terms and details. And to finish, we’re always grateful to our customers for their clothes recycling donations on behalf of Scope. We have helped them to donate 1,500 kg so far this year, raising more than £7,000 (and counting) to support Scope’s projects for disabled people! When was the last time you had your duvet cleaned? You will spend about a third of your life sleeping, so it’s really important to sleep in a clean bed. Dust mites live in our duvets and pillows because of the warmth and moisture content. These little pest can cause allergic reactions such as skin irritations or ear problems. That’s why experts recommend you clean your pillows and duvet every six months.